Usually recipe ideas come to mind at some of the most inconvenient times : seconds before drifting off to sleep, while in the shower, while driving, and while running. When this happens, I’ll try to remember the idea for as long as possible until I can capture it in some way. (I’m not beyond calling myself and leaving a voicemail – which is just about the only reason I use voicemail!). 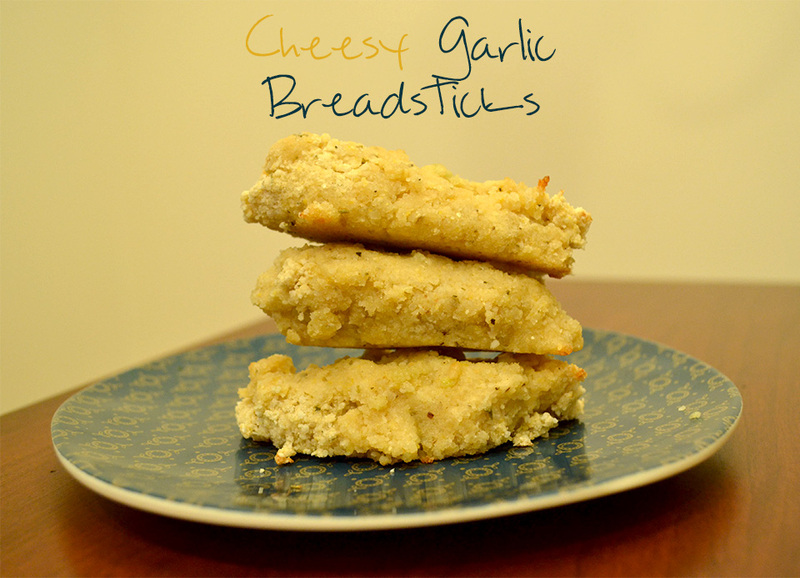 The idea for these breadsticks came in the middle at the very beginning of a long (ish) run. I repeated the idea over and over to myself until I got back to my car, so I wouldn’t forget it. This recipe marries pizza dough with garlic and nutritional yeast for a light, garlic-cheese flavor. Because who can say no to garlic? Cheesy? BREAD?! And – Major bonus points for being super easy. Go ahead and make these little guys – so you can dunk them in your favorite soup, marinara, or…just eat them! They’re delicious! Thanks for stopping by!